SINCE launching this blog, I can't remember how many years ago, things have moved somewhat with my writing, so my online presence has moved to pastures new. Later this year, my second novel SILAS MORLOCK will be published by the independent publisher Inspired Quill (IQ). In preparation for that, I have established a new domained website and associated blog called, simply enough, 'Mark Cantrell, Author'. This site, while remaining very much relevant, has also become something of a historical site; all the latest news and essential information about CITIZEN ZERO (and the rest of my writing) can now be found at my new website, so I hope you'll head on over and take a look. Back in its beginning, I launched this site to actually publish the earlier version of CITIZEN ZERO. Then back in 2006, I got a book deal with a newstart publisher called 'Writers of Worlds'. The book was duly edited, the cover designed, and so forth, ready for publication on the launch list. Of course, the publisher didn't want virtually the entire novel readable here, so I deleted much of it, and reconfigured the site to provide a dedicated source of information to promote the book, ready for its publication. Unfortunately, in the end the venture never got off the ground, and I returned to the grind of seeking out a publisher. Meanwhile, the Indie publishing scene was burgeoning, then far beyond the horizons of my awareness. By the time I took notice, the world was changing. The credit crunch turned to full-on recession, the Labour Party was ousted from office in the 2010 general election, the Conservatives didn't quite win and so cut a deal with the LibDems to form the Coalition Government, the whiff of austerity reeked. The rest is history; the history of my novel, CITIZEN ZERO. The book, largely written in the mid to late 1990s and finalised by May 2001, had finally found its era. We're living the unwritten prequel in the here and now. Well, it feels like it. 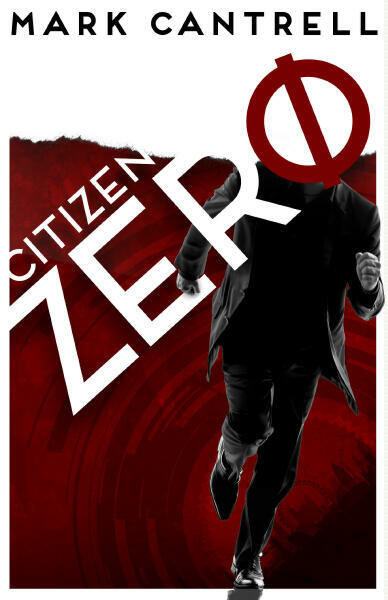 So, I self-published, releasing CITIZEN ZERO around July 2010 in PDF format, and then for the Kindle and other digital formats in December the same year. This site kind of found a new lease of life, but now the torch is passed to my new site, where I hope you'll join me -- not just for CITIZEN ZERO but for SILAS MORLOCK too.